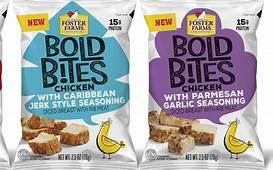 Foster Farms Bold Bites, Only $0.98 at Walmart! If you are following a strict diet and are looking to eat quite a bit of protein this is for sure the way to go! Grab a discount and try Foster Farms chicken bites. I’ve never heard of these. I’d like these. I’ve never heard of these. I’d like them I bet.